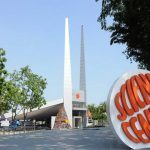 The Singapore Discovery Centre is one of the landmark ‘edutainment’ centres in Singapore. The free admission grants visitors access to logic-smart exhibits such as: a computer game for building a country, a design studio for the future of Singapore, and a business simulation game. Pit your logic and wit against these challenging exhibits and grow your logic-smart side! The Science Centre is another well-known local attraction. With more than a thousand different exhibits about science and technology, it’s almost certainly impossible to visit them all at one go. 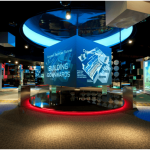 Many of these exhibits include hands-on interaction that put your logic-smarts to the test. The best part is that new exhibits pop up every now and then, so choose your time to visit wisely! – Live scientific shows and demonstrations! I’m sure everyone’s heard of NEWater, but do you know how it is made? Follow the guides at the NEWater Visitor Centre, view their multimedia presentations and play various computer games whilst learning about NEWater in a logic-smart way. The highlight – vistors get to see NEWater being made in action from above, while standing on a see-through walkway. – Fun digital information on the importance of water and NEWater! – English and Mandarin versions available! 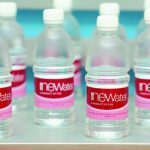 – Taste test NEWater – can you tell the difference between NEWater and normal drinking water? For most of us, how airplanes fly is something we only get to read of in textbooks and magazines. Fortunately, we can learn much more about airplane technology at the Changi Aviation Gallery through schematic displays and touchscreen TVs. 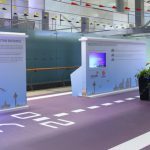 Located at Terminal 3, Changi Aviation Gallery also has many fun facts about the how Changi Airport is run, arranged in a highly logic-smart way. – Different activities planned throughout the year, especially during school holidays! – Close-up view of the A380 plane model, and the only commercial airline plane capable of reaching supersonic speed!